Walter Krenn Hochfrequenztechnik GmbH is a family run company, founded by Mr. Walter Krenn, established in 1989, now lead by his sons Dipl.-Ing. Günter Krenn and Mag. Helmut Krenn. Today it is one of the leading suppliers for radio frequency components. A large stock in Vienna, the well known technical competence and the high quality of the products distributed contribute to the success of the company. The sales activities are extended from Austria to its neighbouring countries as Czech Republic, Slovakia, Hungary, Slovenia, Croatia, Rumania and Bulgaria. In all these countries we have reached an excellent customer relationship over the last years. 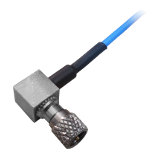 We have specialised in assembling coaxial cables. Standard connectors and an increasing number of custom designed connectors are used. These connectors are designed, developed and produced by our company.